The Lake Paran Shore Trail created by The Fund for North Bennington, Inc. 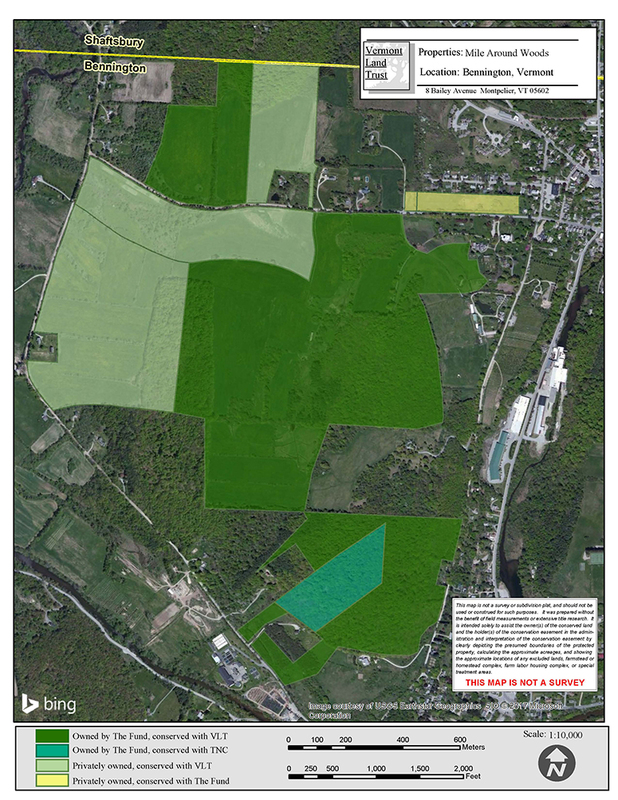 The Fund for North Bennington, Inc. owns more than 423 acres of woods and farmland in and around North Bennington, Vermont. It holds conservation easements on an additional 15 acres. These lands were acquired in a series of transactions beginning in 1994. The costs of acquisition were underwritten by generous public donations, grants from the State of Vermont, and gifts and bargain sales by land owners. The cost of maintaining these areas is principally covered by gifts from the public. Much of The Fund’s agricultural land is actively worked. Forest land is managed for conservation. The Fund’s properties are generally open for public access during daylight hours. 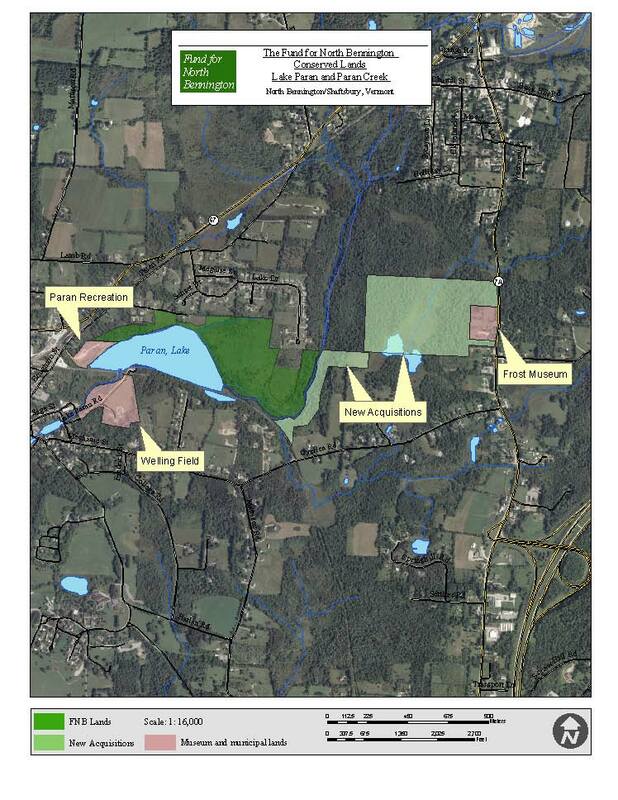 There is a network of walking paths in and around The Mile-Around Woods, and on the Fund’s property around Lake Paran and east in the Paran uplands. The Fund has worked closely with The Vermont Land Trust to assure that the Fund’s lands will be perpetually conserved as natural areas or for agricultural use. The Fund’s land is subject to perpetual conservation easements. The Fund has established a stewardship endowment to help care for these landscapes and to keep them accessible to the public.